Englewood Cliffs NJ – the perfect location for all those looking to balance a suburban lifestyle with the work opportunities in NYC. With its 9 mile distance from New York and good transit connections, this NJ borough offers everything you need for a good life. All that’s left is for you to find your ideal home and hire experienced movers Englewood Cliffs to get you there. And this is where All in One Moving steps in to offer our full-service relocation help. 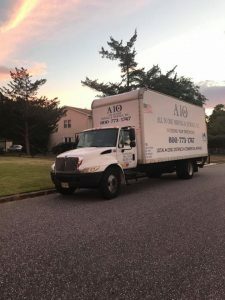 As well-known movers in Bergen County, we have the manpower and equipment necessary for any type of move. Choose the right administrators for your relocation to Englewood Cliffs NJ – All in One Moving. Englewood Cliffs offers a positive suburban lifestyle, outstanding restaurants, and some the finest shops in Bergen County. All the while, this quiet little town is within a 9-mile vicinity from downtown NYC, given that it is located only 3 minutes from the George Washington Bridge. 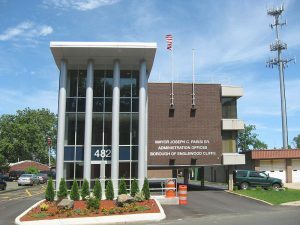 Englewood Cliffs is also located close to 3 major airports. And it grant residents access to some of the best health facilities in New Jersey. the median home price in Englewood is $376,700, while the median rent for a one-bedroom apartment is $2,325. the median household income in Englewood is $146,828. And depending on how yours compares, it should help you determine which housing option is best-suited for you. And while employment opportunities play a major role, you shouldn’t neglect the low unemployment rate as a key indicator of living standards. Regardless of whether personal employment is a factor, lower unemployment rates often mean a region is better able to attract and retain skilled workers, new industries, and retailers. And the statics here work in favor of Englewood Cliffs NJ. The key to the perfect relocation is a well-prepared and executed plan. The better and earlier you prepare for a move, the easier it will be. This is why our local movers NJ offer detailed planning and organization when it comes to your relocation. Our Englewood Cliffs relocation experts believe that you should always be prepared. And this is our way to keep you in the loop when it comes to your relocation. Let all the people in your life about the move. This does not only refer to family and friends, but also to your boss, your co-workers, business partners etc. Make sure that you have a location to move to. Our Englewood Cliffs moving specialists will get you and your belongings to your new home, but it’s up to you to find that home. Secure a new job or office space before you relocate. It’s difficult to find a job when you are new to a city. So, start searching for an appropriate solution prior to your move to Englewood Cliffs. Possess extensive NJ household relocation knowledge. New Jersey is the dream most people search for – quiet and peaceful with plenty of room to raise a family, yet close enough to NYC to enable you to find the job you desire. What more can you ask for? So, why would you let that dream get away from you due to the challenges of a residential move? Instead, you should simply leave all your moving and packing tasks to Englewood Cliffs moving professionals. And once we take on the job, all you will have to do is plan out your exploration of New Jersey. Have commercial movers NJ that can handle any relocation task. Are you interested in New Jersey business endeavor? Why not start that next phase of your company development with the help of productive and efficient movers Englewood Cliffs? We understand what it takes for an entire business to be moved to a new location. 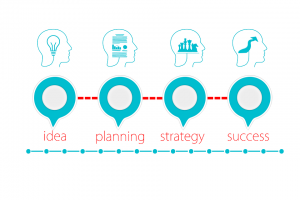 The plans, delegation of tasks, organization…we know it all. And so do our teams of NJ movers. And they will make sure that everything is taken care of in the best manner possible. We will pack, load, move and unpack your entire business. We cover all types of local moving services. And we commit to getting the job done like true relocation experts. Why choose All in One Moving and Storage? Choose our movers Englewood Cliffs because we are the best in what we do. Pack & wrap services NJ – put into place to ensure the safety of your belongings during transportation to your new home or office. Transportation and logistics – no matter the distance, our movers Englewood Cliffs make it their goal to relocate your valuables from point A to point B. Storage units Bergen County NJ – just in case you underestimate the space of your new home and amount of things you have, or if you need additional temporary space.